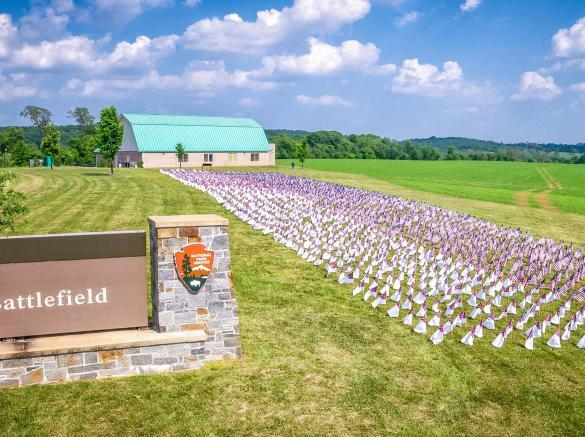 Over Memorial Day weekend, Monocacy National Battlefield will honor the casualties of the Battle of Monocacy by installing 2,200 historic flags. Individuals, groups, or families interested in assisting with the installation of flags should be present to volunteer on May 26 from 9:00 am – 11:45 am. Ranger programs specific to Memorial Day will be presented.